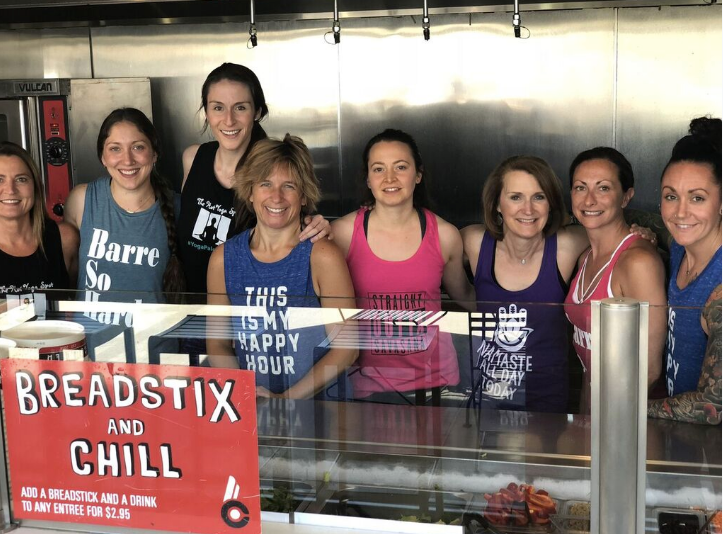 The Hot Yoga Spot has partnered with Bellini's Counter to be their fit partner for the month of June. We have created a BC menu item that is delicious, healthy and the perfect way to fuel up after your hot yoga or barre fitness session. Stop by any Bellini's Counter location in the month of June and order our signature item! Make sure you grab our partnership punch card when you are THYS in June. This punch card enables you to get your 5th meal free when you eat at Bellini's Counter this summer. And be sure to join us at Stuyvesant Plaza on June 21. We will be hosting an outdoor yoga fundraiser on the summer solstice to raise money for the Alzheimer's Association. This special event will be led by talented teachers from The Hot Yoga Spot and all money raised will be donated. When you stop by Bellini's Counter that day and mention our fundraiser, they are joining in the fundraising fun and donating to the cause.